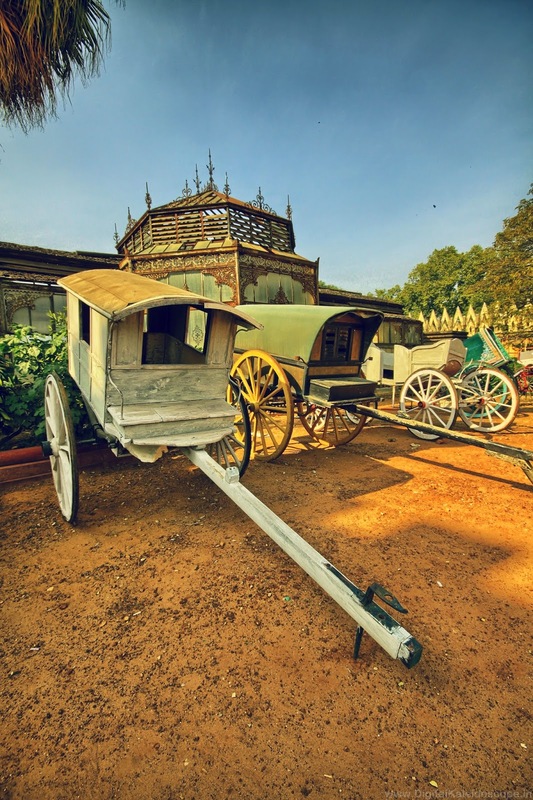 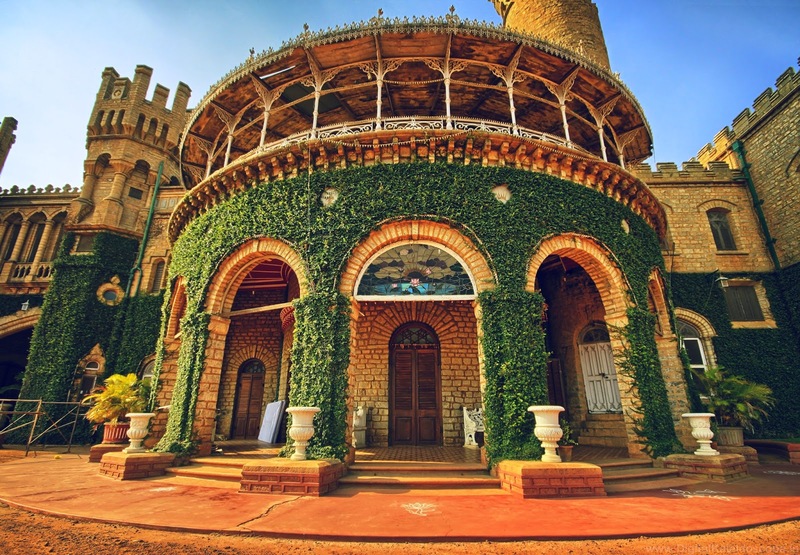 Through the years Bangalore has had many changes including the name itself, the one thing that hasn't changed in this beautiful city is the grand Bangalore palace. 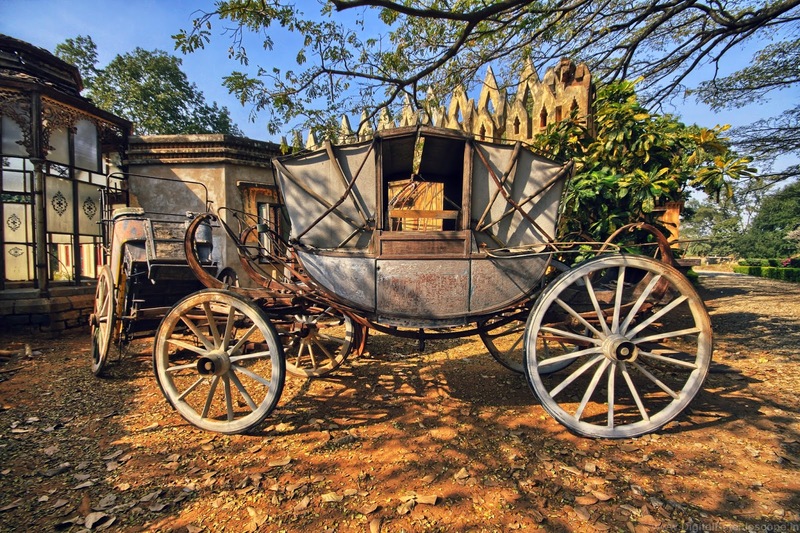 Located in the heart of city you can step into the splendorous world of the kings and queens for a taste of British royalty. 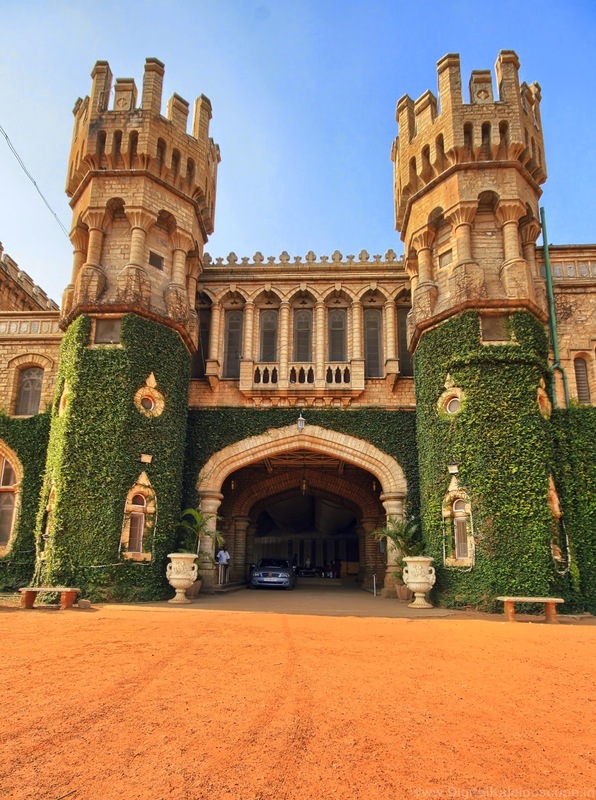 The palace was built as a boarding school; construction started in the year 1862 and it was completed in 1944. 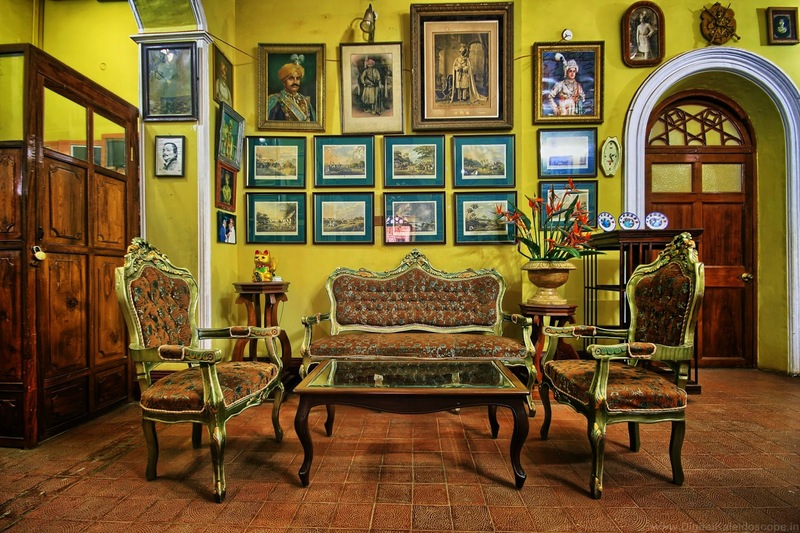 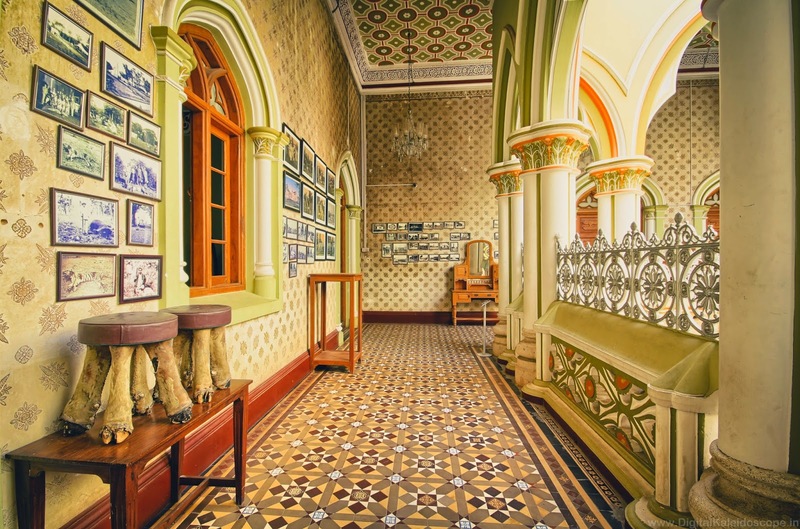 In 1884 the palace was bought by the Maharaja of Mysore and is now owned by the Mysore Royal family. 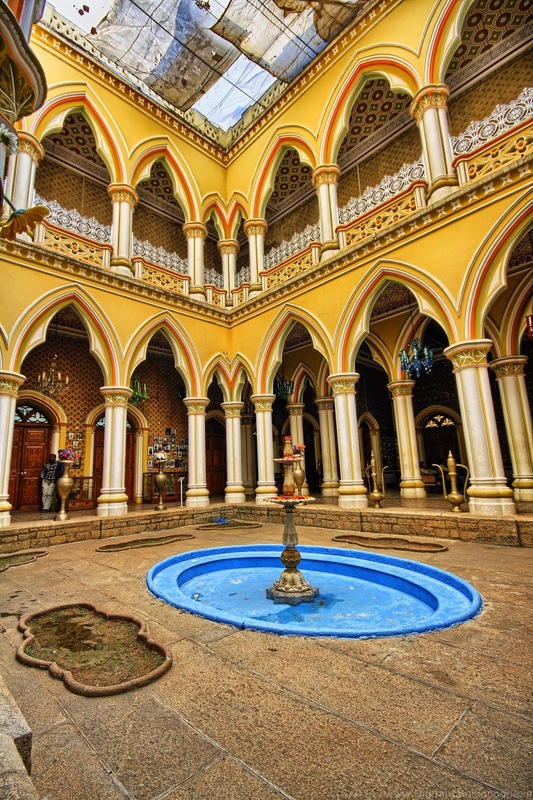 The architecture of the palace has a mixture of Tudor architecture with a hint of Gothic Influence. 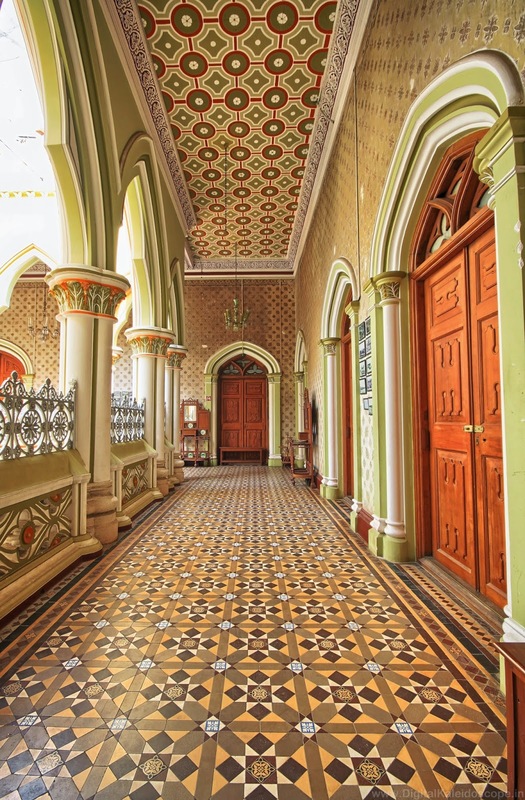 At a first look the palace shows very strong resemblance to the Windsor Castle in London. 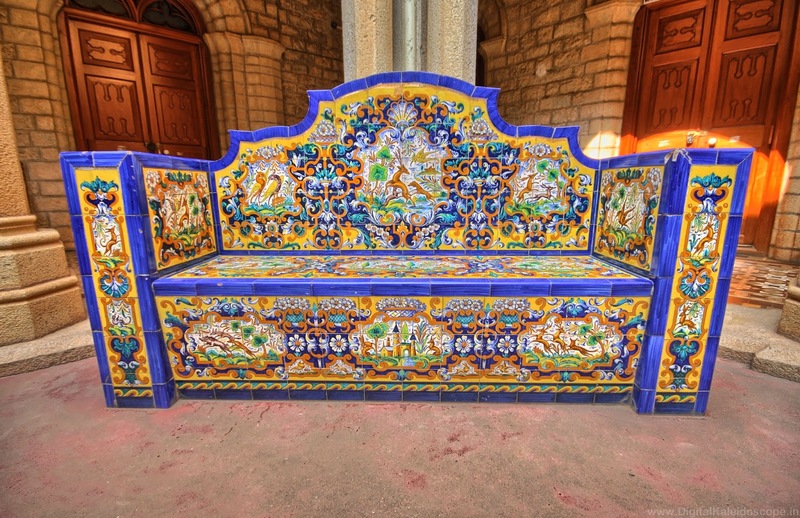 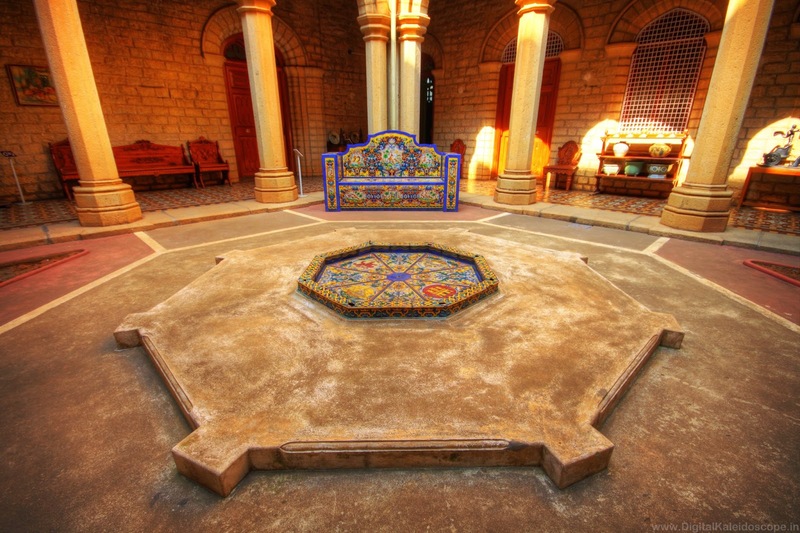 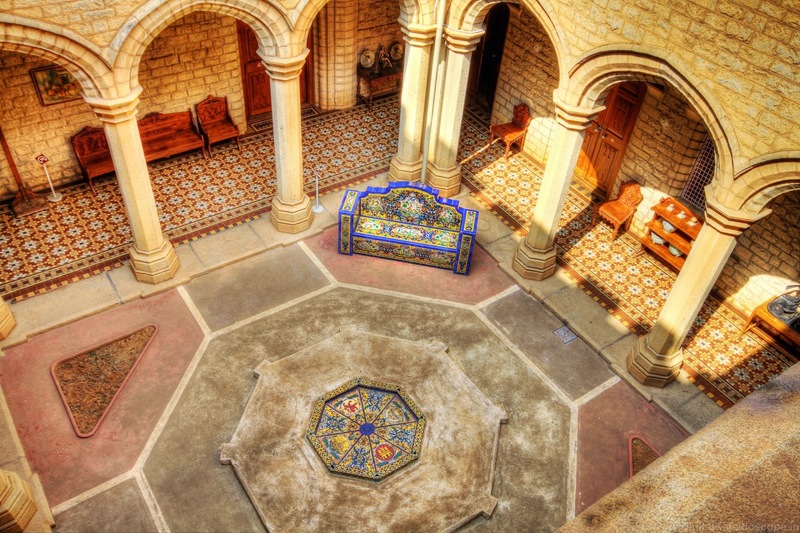 The ground floor consists of 2 open courtyards ; the smaller courtyard has a Spanish theme to it and the bigger courtyard is Arabian inspired.The Spanish courtyard has granite seats covered with bright blue ceramic tiles . 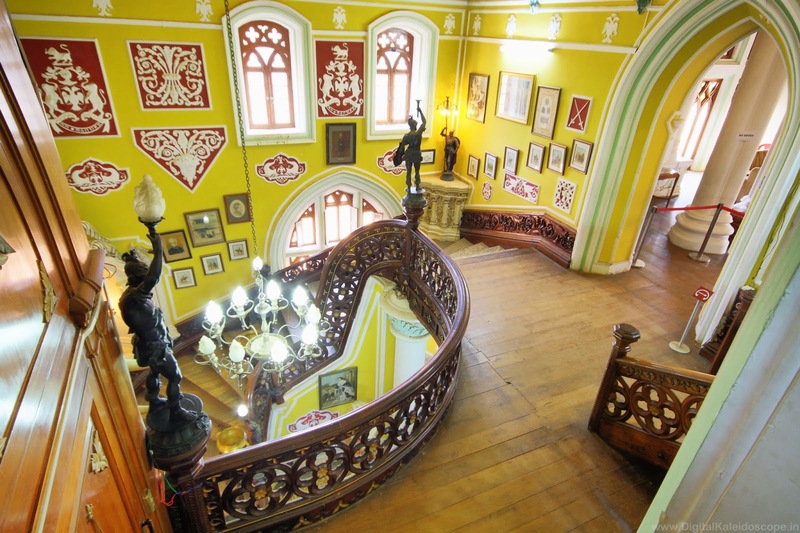 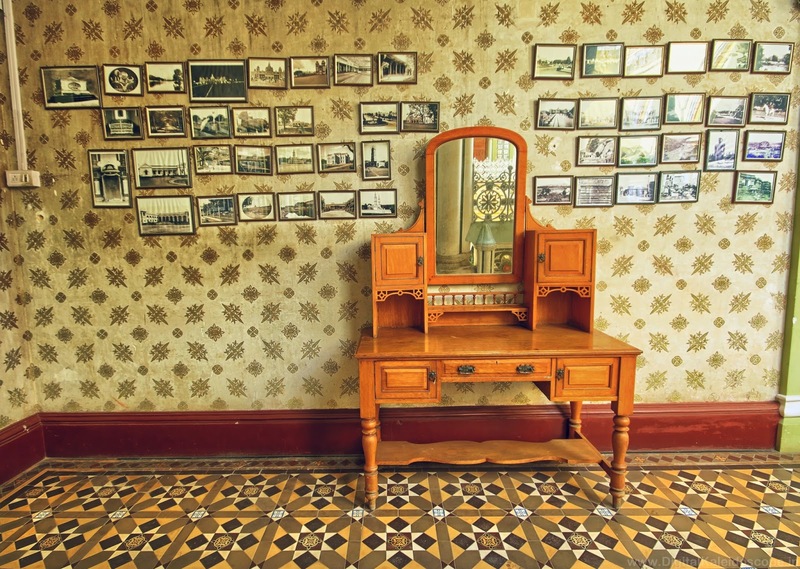 The interior are decorated with elegant wood, carvings and Victorian furniture. 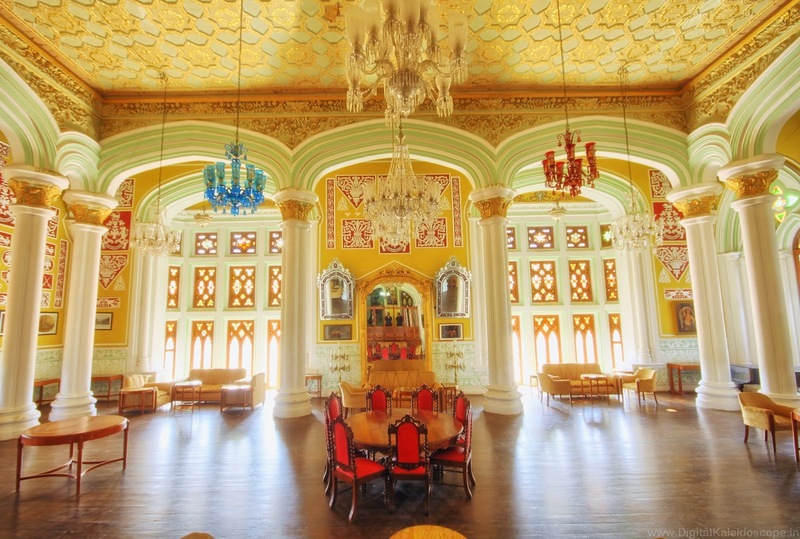 In the first floor of the palace is a huge Durbar hall where the Maharaja used to address the assembly . 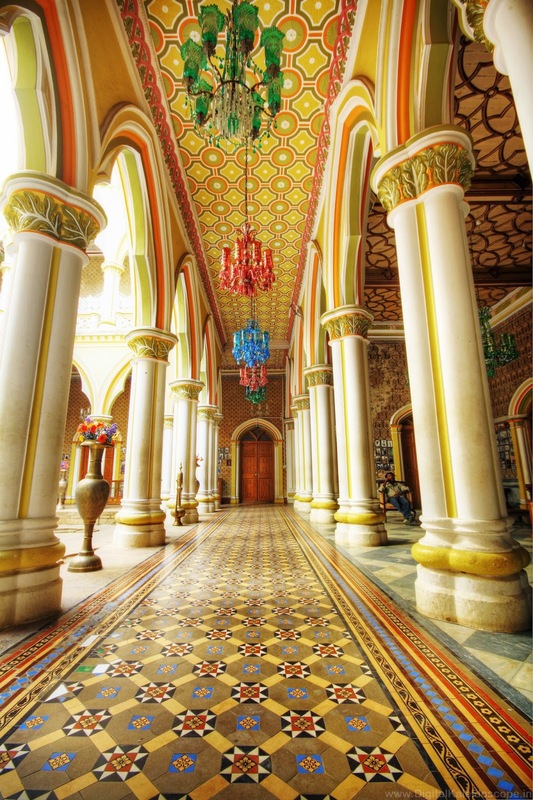 The Durbar hall is by far the most beautiful room in the palace with large stained glass windows, beautiful chandeliers and intricate patterns on the wall. 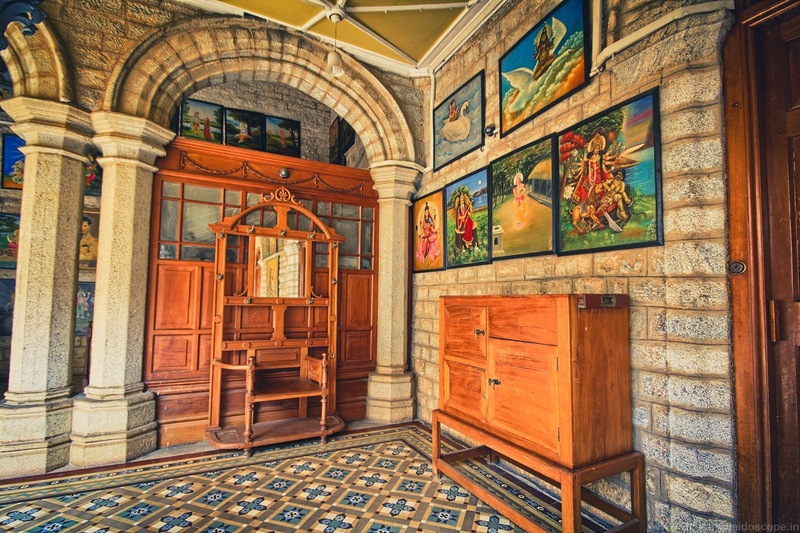 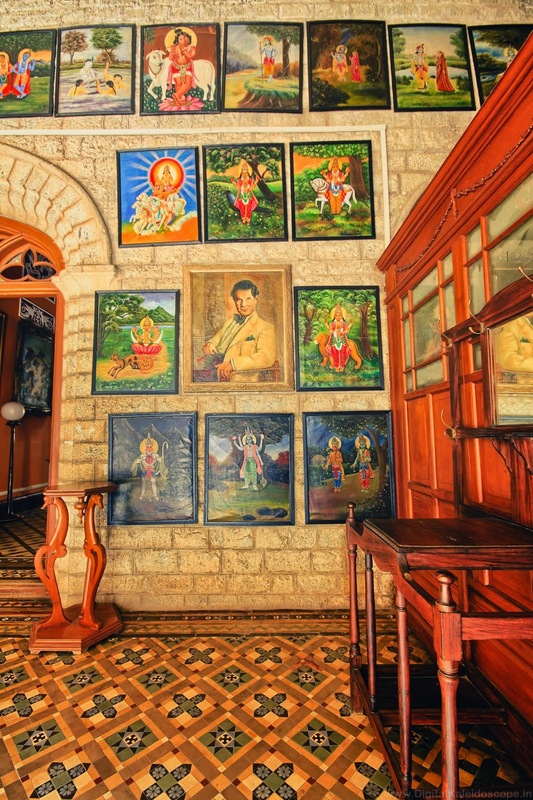 The interior walls of the palace are adorned by old paintings belonging to the mid-19th century, including some Greek and Dutch paintings. 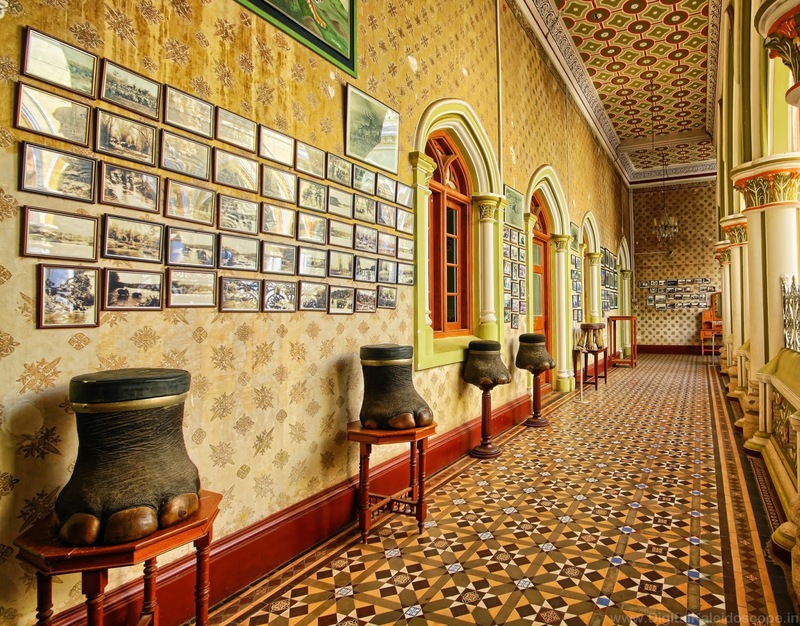 The palace is open to visitors everyday from 10:am to 5:30 pm .When I visited the palace a movie was being shot and certain sections were not accessible.There is a entry fee for taking a tour of the palace and its quiet expensive. 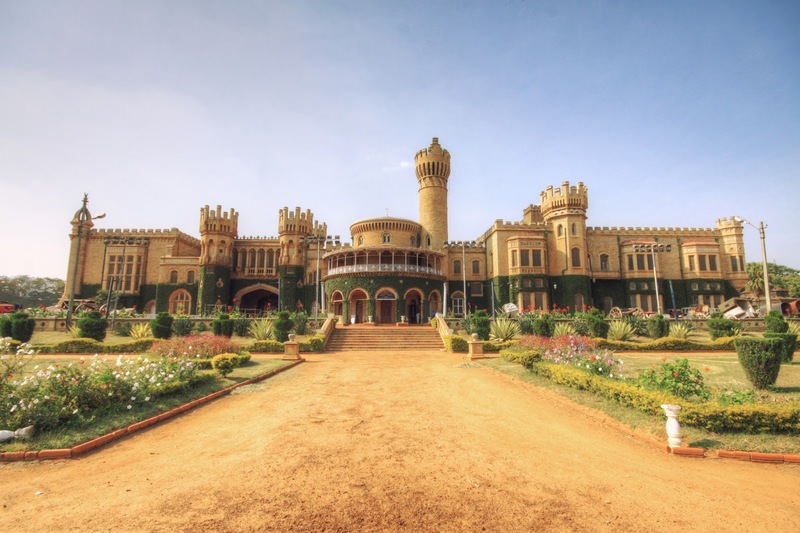 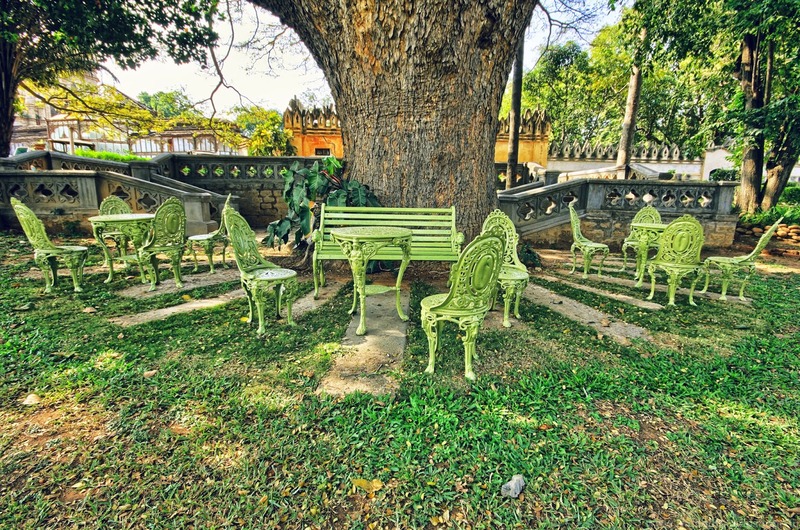 Bangalore Place is worth a visit and it will take you about 2 hours to cover the entire palace. 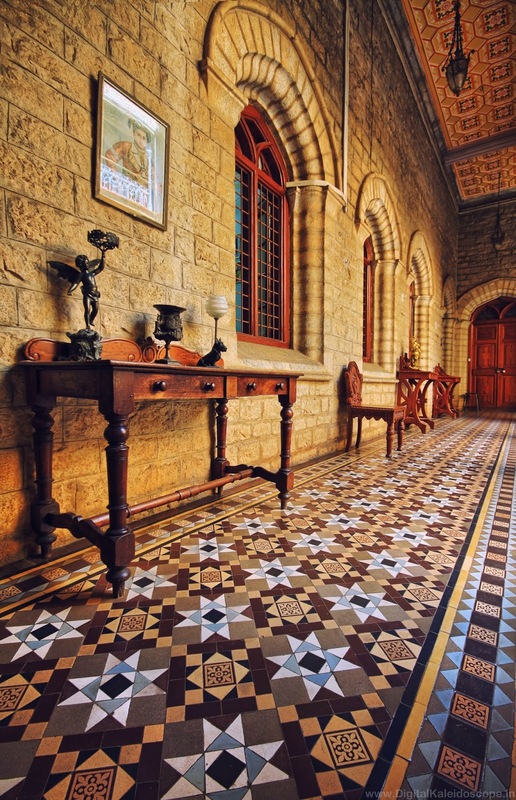 Thanks for sharing this blog;I have got lot of information about Interior decorators in Bangalore u said lot of things about Interior decorators in Bangalore.